Small potatoes (a.k.a. 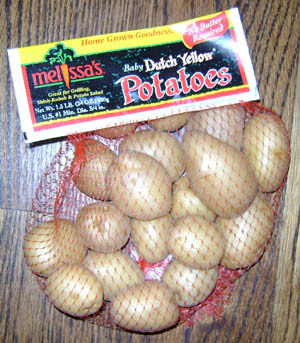 “baby potatoes” & “new potatoes”) are about 1.5 inches in diameter. They are delicious roasted! 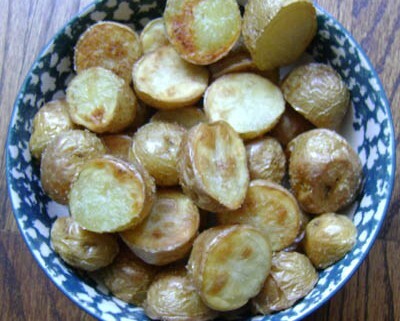 Small potatoes are very easy to prepare. 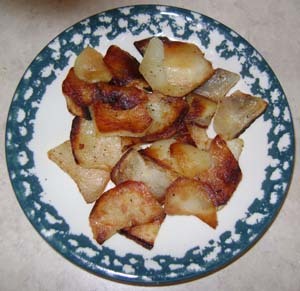 In fact, cooking the new potatoes is much easier than regular potatoes, since you don’t have to peel them! 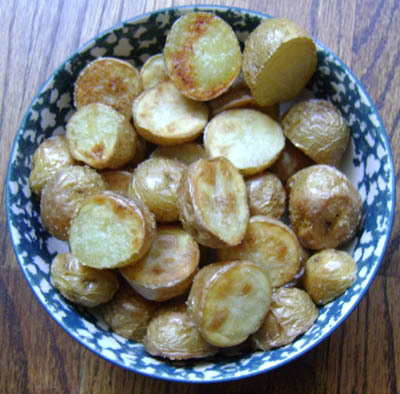 The skin of small new potatoes is very thin and edible. Not having to peel these little potatoes saves so much time and effort! 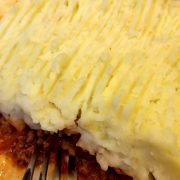 Once you discover how easy it is to cook them, you’ll seek out the small potatoes in the store again and again! Making these roasted new potatoes is super easy. 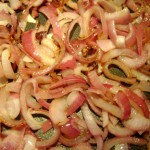 Just cut them in half, toss in a little olive oil and bake in the oven. 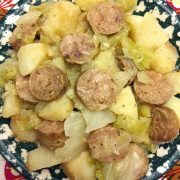 When the timer beeps, you’ll take out amazingly delicious golden brown small potatoes! 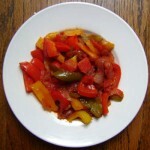 Sprinkle them with salt, pepper and your favorite seasonings and enjoy! 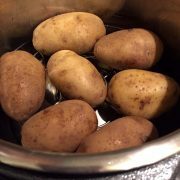 Wash the small new potatoes and cut them in halves. Put the small potato halves in a bowl. 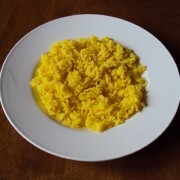 Pour 1 tbsp of oil to potatoes. Coat the new potatoes with oil by moving the potato pieces with your hands. If needed, add more oil, so all the new potato pieces look shiny and coated with oil. Line the baking sheet with parchment paper. Put the new potato pieces on a baking sheet. Sprinkle with salt and pepper. 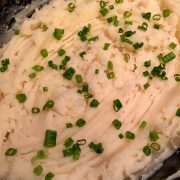 Put in the oven and cook for 40 minutes or until the new potatoes are done. Add more salt to taste if needed.